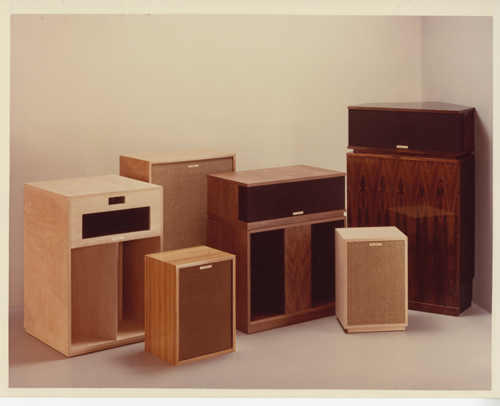 Paul Klipsch left the world his “heritage” line of speakers, including the Klipschorn, La Scala, Belle, Cornwall, and Heresy. Our initial roll-out of product history will be limited to these five models. However, there were other models of his design that were discontinued, like Rebel (I – VII), Shorthorn (S and T), a turntable, and a couple of “Little Bastards”. These will be added as time allows, as well as many of the pro models. Each model “chapter” will include historical photos, timelines, and eclectic related documents. In some cases PWK’s actual design work and measurements have been discovered and will be included.